Hire a jet and fly private to Omaha, known for its pioneer history. Omaha is a major aviation hub in Nebraska, servicing a large amount of executive charter flights with several Fortune 1000 companies based in the city. Many of these executive flights utilize either (KOMA) Eppley Airfield and (KMLE) Millard Airport; renting a jet into either airport is the most luxurious way to travel to Omaha, whether you’re flying private for business or leisure. Our private jet charter Omaha service offers on-demand access to thousands of private planes for flights to/from any destination around the world. We’re not limited by fleet size, and confident we can arrange the right aircraft for your trip, whether you’re flying internationally or domestically. Our private jet charter team is available 24 hours a day, 7 days a week to offer you the highest standards in quality found in the industry. Our aviation team is Wyvern-certified, maintaining the most stringent safety standards in the industry. All of the private planes we use for charter flights are operated by FAR Part 135 (or foreign equivalent) air carriers, and our transparent booking service will ensure you get exactly what you expect on flight day. Give Air Charter Advisors a call at 1-888-987-5387 or request a quote for your charter flight to Omaha. Nebraska. Our team can assist with all of your private aviation needs, from booking your private jet and creating its flight itinerary to arranging gourmet in-flight catering, luxury ground transportation or meeting any other requests you may have – consider Omaha Jet Charter your one-stop shop for all things private aviation in the state of Nebraska. 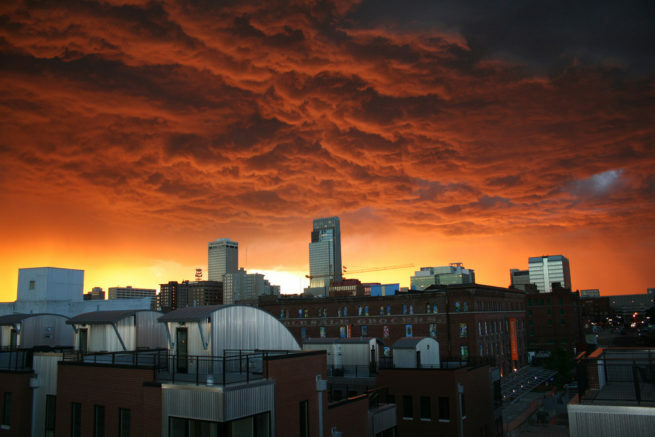 Charter a luxury private flight to Omaha, the largest city in the state of Nebraska. The city is conveniently located within 50 miles of several airports, allowing business travelers to arrive closer to their destination. Our jet charter representatives cater to top-tier business executives, noted celebrities, discerning travelers, and everything in between. Omaha Jet Charter representatives are available to assist you 24 hours a day, 7 days a week. You can expect quick response times, a hassle free booking service, and unlimited free private flight quotes. Request a quote now or give us a call to book your luxury private flight to Omaha, Nebraska. Omaha’s notable role in the history of transportation across America earned it the nickname “Gate City of the West”; although President Lincoln originally wanted the starting point for the Union Pacific Railroad to be in Council Bluffs, Iowa, construction began from Omaha on the eastern portion of the first transcontinental railroad, and by the middle of the 20th century, Omaha was served by almost every major railroad. Today, there are four Fortune 500 companies headquartered in Omaha: Berkshire Hathaway; one of the largest companies in the world, Kiewit Corporation; Mutual of Omaha; and Union Pacific Corporation, the country’s largest railroad operator. Several technology firms have major operations or headquarters in Omaha, including Bank of the West, First Data, PayPal and LinkedIn. The city’s favorable business sector has earned it a number of accolades; in 2008, Kiplinger’s Personal Finance magazine ranked Omaha the 3rd best city in the US to “live, work and play”; Forbes named Omaha as the nation’s number-one “Best Bang-For-The Buck City” and ranked it 1st on “America’s Fastest-Recovering Cities” list in 2009; Forbes’ again named Omaha among its lists, this time in 2013 for the Best Places for Business and Careers. Charter a private flight to this old northern central cow-town turned metropolitan city and experience the unique and diverse lifestyle that only Omaha can provide. Young people, aspiring entrepreneurs, and new families are coming in droves to populate this boom town. Omaha is experiencing a bit of a renaissance that sees new restaurants, coffee shops, and other businesses popping up every day, and everyone wants a slice of the pie. 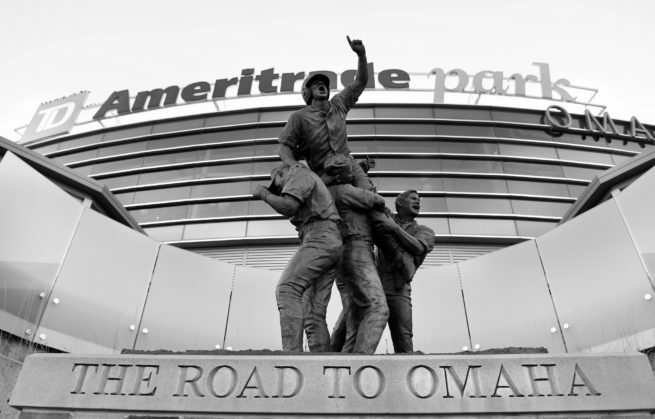 The College World Series also takes place at the TD Ameritrade Park every June, attracting baseball fans from across the country. This makes Omaha an attractive private flight destination whether you’re vacationing, or looking for that new place to invest in; Warren Buffet doesn’t call it home for nothing. Business or pleasure, certain attractions are great no matter why you’re there. Let go of the stress from a long work meeting by grabbing a mouthwatering dinner and sipping on an impressively imaginative and delicious cocktail at V. Mertz, Omaha’s premier fine-dining tradition. Their indulgent five-course tasting menu will help you pick the perfect cuisine for the night, and have you coming back to order the other options. If you’re on a family getaway and don’t have any meeting to worry about, then Omaha has several nature preserves and museums that make for great day trips. If you want to enjoy the absolute best that the city has to offer, then head over to Henry Doorly Zoo with the family. Touted as the “World’s Best Zoo” by TripAdvisor in 2014, Henry Doorly beat out the iconic San Diego Zoo and Loro Parque with its meticulously prepared exhibits and sterling reputation in the conservation and research communities. Easily worth two days of exploration, you and your family won’t want to miss this gem. If animals aren’t your cup of tea and shopping gets you excited, there’s no better destination than Omaha’s Old Market. There you’ll find tons of boutique and luxury shops, along with charming lunch and dinner restaurants that are perfect for breaking up your shopping marathon. You’ll also find several art gallery’s carrying both local and internationally acclaimed works to add to your collection. Read on for more things to do after your private jet charter flight to Omaha, Nebraska. Chartering a private flight to Omaha is fast and easy with Air Charter Advisors. Our jet charter brokers can arrange everything from multi-leg private flights with gourmet in-flight catering to private helicopter lifts and luxury ground transportation to your hotel of choice. As for your stay in the “Gateway to the West”, there are plenty of options. From boutique, business, and design hotels to classically luxurious bed and breakfasts, the lodging options here are sure to satisfy any trip agenda. For a family-oriented trip or a romantic weekend, bed and breakfasts are the way to go. Nebraska has quite a few, but Oft’s Bed and Breakfast is our recommendation. Their gourmet breakfast is the perfect way to start your day, while their generously appointed rooms and historic feel enhance the location’s already obvious charm. For private jet travelers there on business, comfort and convenience is key. 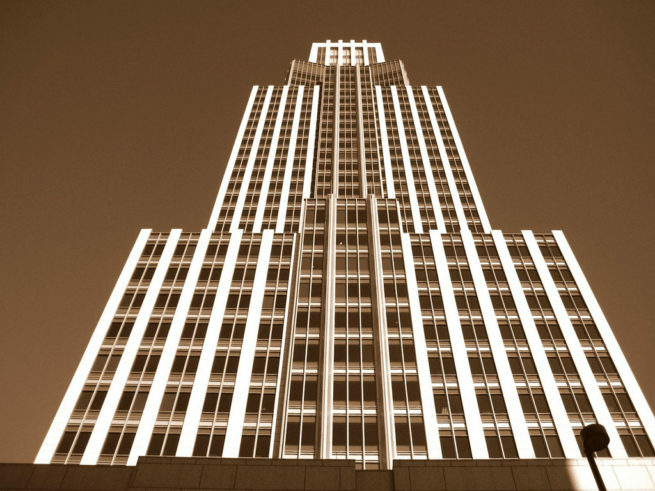 For this, Omaha offers several conveniently located hotels that offer the amenities typical of luxury establishments. Of these options, the most popular is the Hotel Deco XV. As the only AAA Four-Diamond Preferred hotel in Nebraska, this luxury hotel in the heart of downtown is the best option for private jet travelers. So whether you’re heading to the city of business or pleasure, you’re sure to find a place to sleep that suits your needs. Our jet charter team has compiled a list of the best lodging options in and around the city. Based on Omaha jet charter client feedback, location, online reviews, and amenities offered, something on the list is sure to pique your interest. 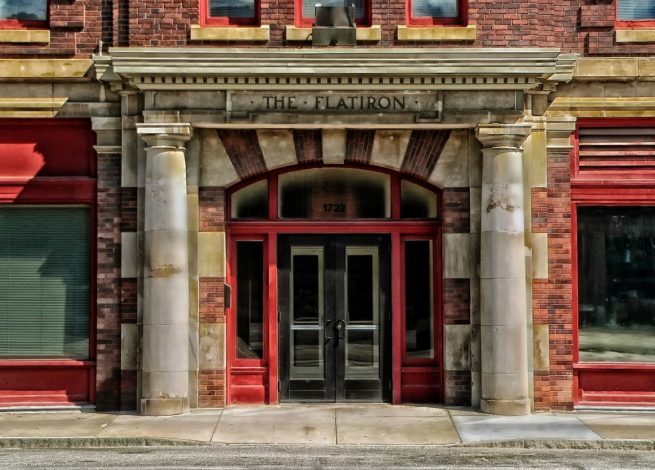 So read on and check out the best places to stay in Omaha, Nebraska. Air Charter Advisors utilizes the following airports to fly clients privately to/from Omaha, Nebraska and neighboring areas. Eppley International Airport (IATA: OMA, ICAO: KOMA, FAA LID: OMA) is located in Douglas County, 3 miles northeast of Omaha, Nebraska. It is Nebraska’s largest airport, serving 4.17 million passengers in 2015, more than ten times the passenger total of all other Nebraska airports combined. Tac Air and Signature Flight Support operate FBOs out of OMA, and Eppley Airfield features three runways in total, each long enough to accommodate large private jets, including a Challenger 604, Gulfstream V, and even corporate airliners such as an Airbus 319 or a Boeing Business Jet. The airfield is named after Eugene C. Eppley, the Eppley Hotel magnate, whose estate was used to convert what was then known as Omaha Municipal Airport into a jetport in the late 1950’s. Fly private to Council Bluffs Municipal Airport (IATA: CBF, ICAO: KCBF, FAA LID: CBF), a public-use airport in Pottawattamie County, Iowa. Located 5 miles from Council Bluffs’ central business district and just 18 miles from downtown Omaha, it offers an additional, convenient location for turbo-prop and light jet charters heading to the Nebraska/Iowa border. (CBF) Council Bluffs Municipal offers two concrete runways for light jets and turbo-props: 18/36 is 5,500 feet x 100 feet, and 14/32 is 3,650 feet x 60 feet. Advanced Air operates an FBO at the airport, and they also operate a flight school based at the airport. The airport is also home to Iowa Western Community College’s Aviation Maintenance Technology program, and their Professional Pilot training program. Located seven miles southwest Omaha’s business district, Millard Airport (IATA: MIQ, ICAO: KMLE, FAA LID: MLE) is a convenient airport to land piston and turbo-prop charter flights. The airport is owned by the Omaha Airport Authority, who also owns and operates (OMA) Eppley Airfield. Millard Airport is assigned MLE by the FAA and MIQ by the IATA; the identifier MLE was assigned to Malé International Airport in the Maldives by the IATA. (KMLE) Millard Airport offers a 3,801-foot concrete runway (12/30), and Oracle Aviation operates an FBO on-site. Request a Quote or give us a call at 1-888-987-5387 to speak with one of our Omaha Private Jet Charter agents for your next luxury vacation, business trip, or special event. Our team prioritizes your time, safety, and privacy above all else, and our jet charter brokers have the experience necessary to arrange the private flight itinerary that best suits your needs. Accustomed to working with a varied clientele, our jet charter representatives cater to top-tier business executives, noted celebrities, discerning travelers, and everything in between. Out jet charter representatives are available to assist you 24 hours a day, 7 days a week. You can expect quick response times, a hassle free booking service, and unlimited free private flight quotes. Request a quote now or give us a call to book your luxury private flight.